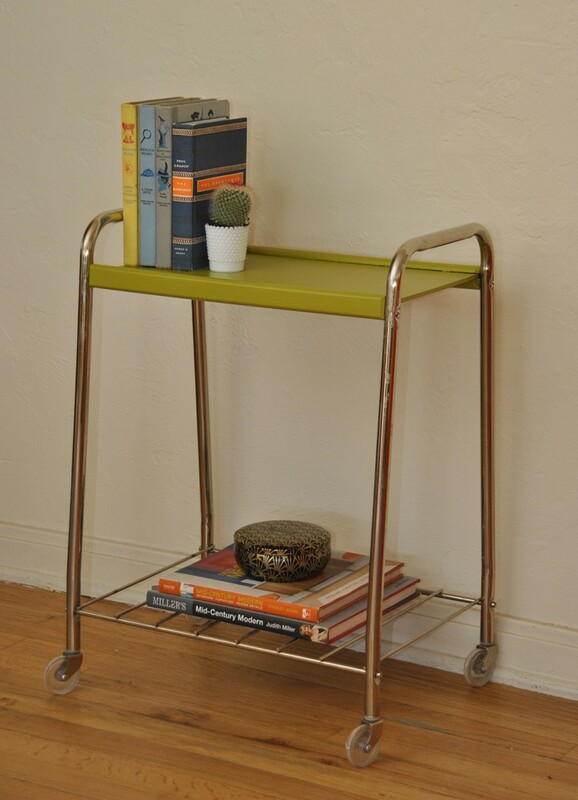 Painted rolling cart with lovely metal legs and bottom shelf. 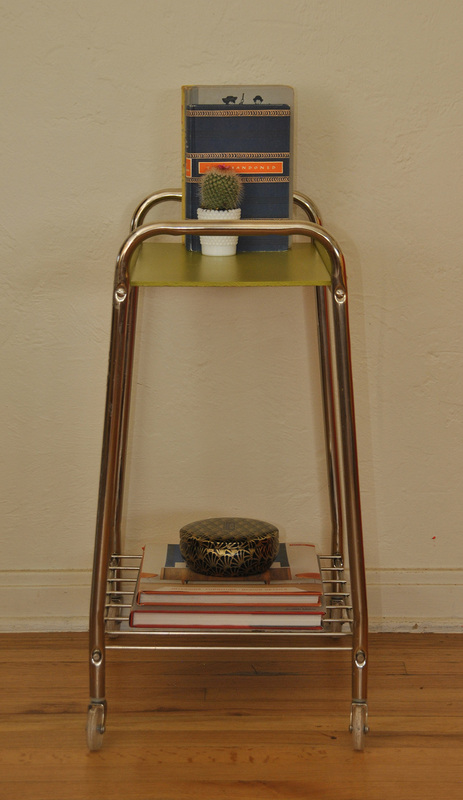 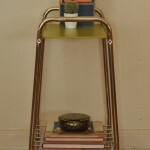 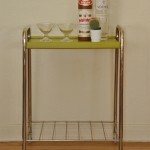 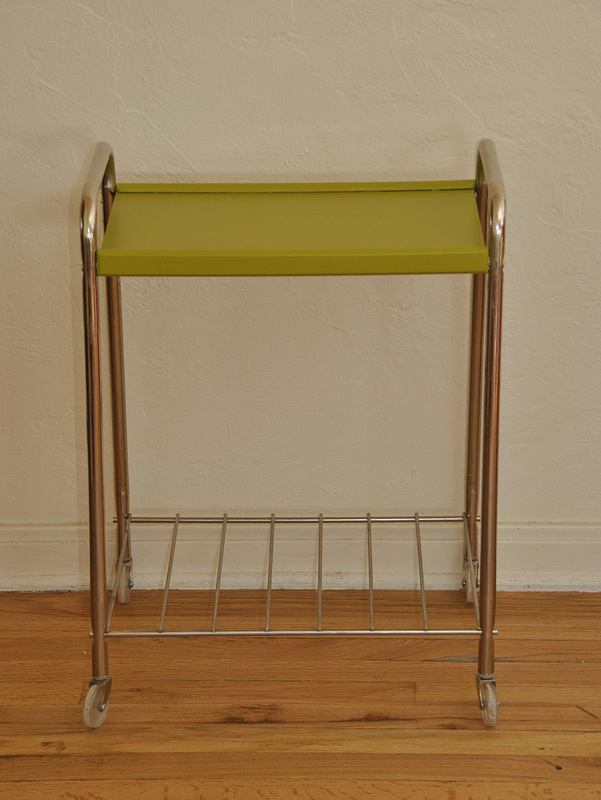 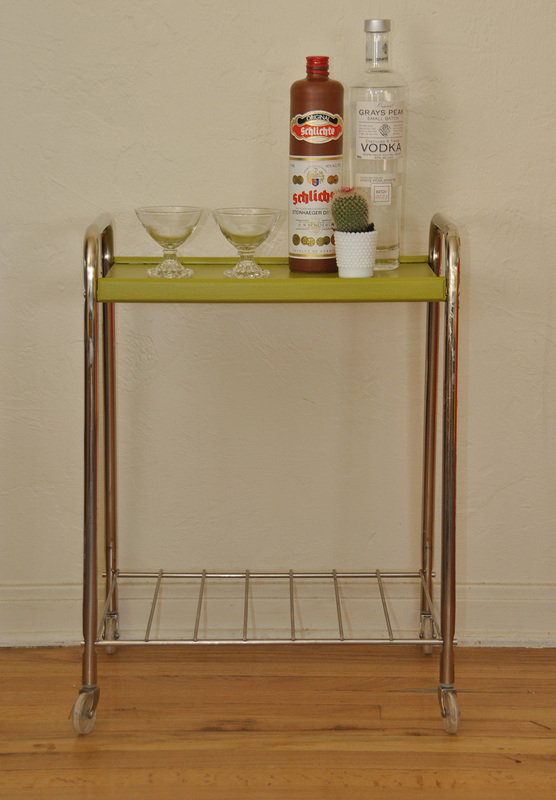 Perfect bar cart, side table, or nightstand with extra storage on bottom shelf. 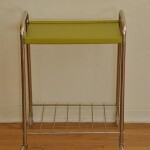 Primed and painted shelf with semi-gloss top coat.